These etudes only have double stops in first position but they include shifting through fourth position. These are probably the most readily available cello etudes; they're easy to find new or second-hand. While not as musical as Lee or Kummer etudes, these are very focused studies and they can give your students a very solid technique. look inside 113 Studies in Four Volumes - Volume I Composed by Friedrich Dotzauer. Edited by Klingenberg. Published by International Music Company (IM.1312). Schroeder: Perhaps the most famous cello etude book? 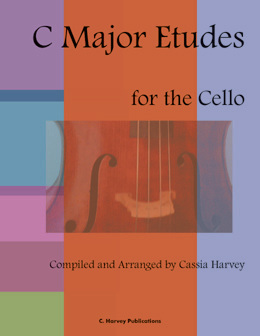 This super-well-known cello etude book has numerous etudes in the lower positions. However, the etudes are not presented in order of difficulty and as you make your way through them, you might come across one or two random etudes in thumb position! look inside 170 Foundation Studies-Volume 1 (For Violoncello). For cello. 170 Foundation Studies For Violoncello. Instructional. Instructional book. Introductory text. 105 pages. Published by Carl Fischer (CF.O2469). An odd collection of etudes that contains a few not found elsewhere (Stransky, Dont, Thaler, Spohr). Contains a small amount of tenor clef. 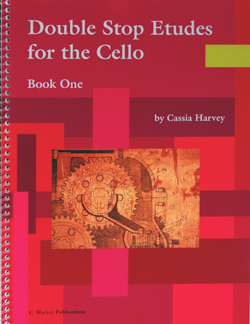 look inside New Collection of Studies - Volume 2 (Cello). Composed by Joachim Stutschewsky (1891-1992). For Cello. Schott. 44 pages. Schott Music #ED1592. Published by Schott Music (HL.49003452). Interesting group of varied etudes; great for keeping the intermediate cellist interested. Contains tenor clef. look inside Technique Takes Off! for Cello Composed by Mary Cohen. For Cello. Book; String - Cello Studies or Collection; Technique Musicianship. Faber Edition. Intermediate. Published by Faber Music (AP.12-0571514200). Another fantastic compilation of etudes by Feuillard. These are detail-oriented and can help your students play more precisely. look inside Technique du violoncelle - Volume 2 Composed by Louis R. Feuillard. Method / Etudes. Score. 22 pages. Edition Delrieu #DF518. Published by Edition Delrieu (LM.DF518). This is a great graded series of etudes. The studies are grouped according to the positions, with sections on 2nd, 3rd, 4th, 5th, 6th, and 7th positions. Uses tenor clef only at the very end. look inside Intermediate Etudes In The Positions For Violoncello Composed by Francis Grant. Books/Methods. Published by LudwigMasters Publications (LG.10300118). I love this book of intermediate etudes in the positions (the book also contains 3 first-position etudes). Somewhat melodic and quite interesting, they use positions 1-4 and do not include any tenor clef. look inside Twelve Easy Exercises, Op. 18 Composed by William Henry Squire. String music. Published by Stainer & Bell Ltd. (ST.H308). ​Note: to download music from the RSL, set up an account here: https://passport.rsl.ru/register/form. Then, click the green down arrow (download button) at the top of the page of music and put your username (email) and password in. When the little box comes up, click the white button on the right (not the green button) and the file will download automatically.